This week some of the team were in Turkey supporting our distributor Viezu Turkey. Car tuning in Turkey is fast expanding, and economy tuning is where it’s at. Truck tuning and HGV tuning for fuel economy is very important in the Turkish market, with Turkey acting as a highway to the Middle East from Europe, the volume of trucks in the region is high and demand for fuel saving is very significant. 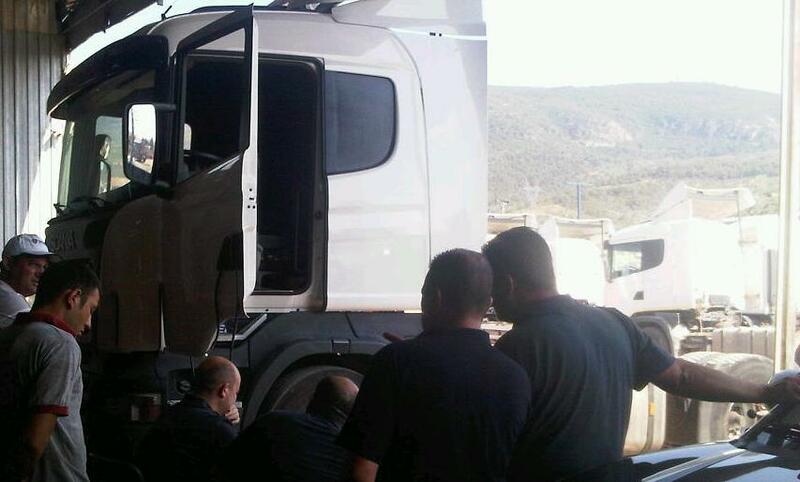 Scania tuning, Ford Cargo, and Man truck tuning amongst other trucks were the order of the visit as well as K-tag and BDM training for the Turkish car tuning dealers. Viezu Turkey are great ambassadors of the Viezu tuning network, with first class training and support for their truck tuning and car tuning dealers across Turkey. With fuel prices so high around the world, economy tuning is very important, never more so than in the HGV, Plant and truck tuning arena, with fuel gains and economy tuning on trucks of up to 20% achievable, both owner drivers and fleet operators alike are keen to embrace fuel saving through vehicle tuning. The week was very good, accomplishing training and economy tuning on the Scania trucks and research and development of the truck tuning market in the region. The team had a great trip and there was even a little time for some team building and fun.